Generate and Manipulate Word document formats within any C++ application without any Microsoft Word dependencies. Open NuGet package manager, search for Aspose.Words.Cpp and install. Aspose.Words for C++ is an advanced Word Document Processing API to perform a wide range of document processing tasks. 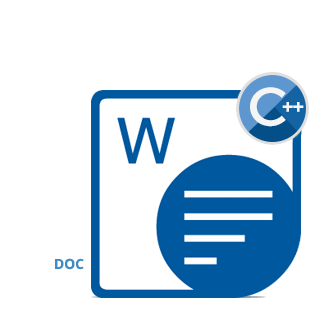 API provides document formatting, manipulation, mail merge, watermarking and much more capabilities directly within your own C++ applications without requiring Microsoft Word. 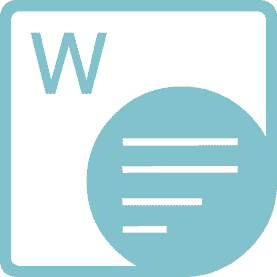 API supports most of the Microsoft Word formats for processing. An overview of Aspose.Words for C++. Aspose.Words for C++ fully supports C++ applications developed on Windows platform. Aspose.Words for C++ supported formats listed. More file formats will be added with future releases. 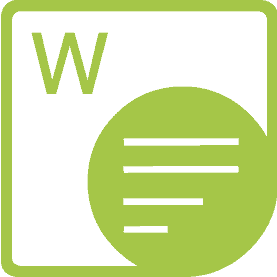 Aspose.Words for C++ allows developers to create, build and modify documents including document formatting with an intuitive document object model that mimics Microsoft Word in terminology & features. C++ developers can dynamically create, modify, extract and replace all document elements including sections, tables, bookmarks, fields, form fields, comments, images, styles and so on. Aspose.Words for C++ supports joining & appending multiple documents into one. This process is very simple as well as configurable, providing the means to control how the documents are joined. C++ Word Processing Library also allows to reset the page numbering after joining the documents. // set the appended document to start on a new page. // append the source document using the original styles found in the source document. Aspose.Words for C++ provides extensive support for watermarks. While using Aspose.Words for C++, it is very easy to insert any shape, image or text as a watermark with the ability to format it in any way. This provides the ability to create watermark of any imaginable type. Aspose.Words for C++ offers the facility to protect & un-protect documents with single line of code. You may set the protection in a way that the user can make only limited changes, such as adding annotations, making revisions or completing a form.